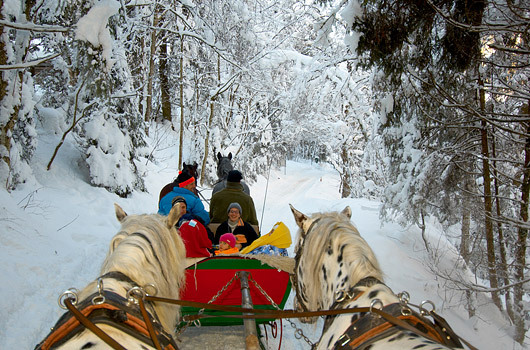 Winter vacations in Gastein - a holiday paradise with fun warranty! When was the last time you built a snowman? Or got into an all-out snowball fight with friends? Or left your own tracks in the freshly fallen snow? Get away from the ski slopes and discover Gastein from a totally new perspective! A special experience: Thermals you could only dream of and flights high above our wintery world await hang- and paragliders in Gastein. And of course, it is also possible to enjoy a high-flying Gastein adventure as the "copilot" in a tandem rig. ... or ice climbing - pure excitement in Gastein Ice Falls, sledding - a fun for the whole family, Llama trekking or Snowshoeing, ... it's never boring in Gastein!